Hal Henard Elementary School serves the children of Greeneville in grades pre-kindergarten through fifth. Currently, we have 381 children enrolled at the school. 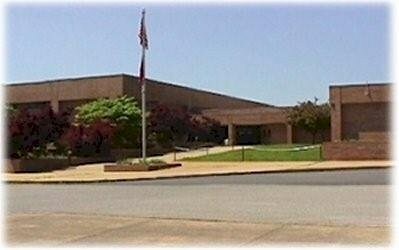 Our school is the largest of four elementary schools in the city of Greeneville. In addition to a well-rounded core curriculum, we offer many additional programs to benefit our students such as a computer lab program, online common core programs, and ACCESS, an extended school program. Our ACCESS program is an after school program offering high-quality after school remediation and enrichment for our second through fourth grade students. We also offer two before school ACCESS programs, one to encourage reading and the other to provide tutoring help for students. In addition, we offer a summer ACCESS program, three days per week for five weeks. Hal Henard has been recognized by the Southern Association of Colleges and Schools for their forty years of continuous membership in the organization. Only 120 schools received this commendation from a list of over 8,000. Even though Hal Henard has not been in operation for 40 years, it qualifies for this honor because the two schools that were consolidated were both SACS accredited.